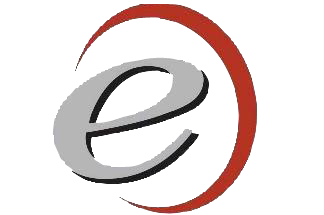 Erindale College is in the Tuggeranong Network of schools in Canberra and provides learning programs for 600 students in years 10, 11 and 12 during the day and some 500 adult learners during evening sessions. Our college is the centre of a community complex which includes a modern 443 seat performance theatre. The complex has the joint-use public and college Erindale Library and the Active Leisure Centre includes a swimming pool and fully equipped gym and group fitness spaces with a membership of two thousand people. Welcome to the new school year. Please find information given out to all our new students as a helpful guide, Student booklet. 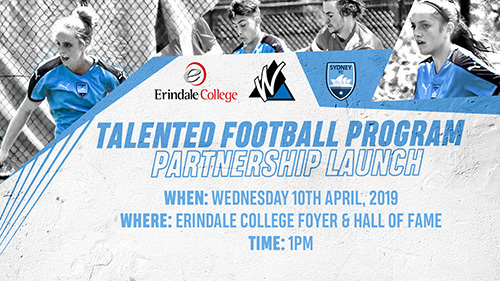 The launch will take place in the foyer and hall of fame of Erindale College at 1pm on Wednesday the 10 of April. The Sydney FC Academy School program at Erindale College/Wanniassa School will offer students in years 7-12 a unique opportunity to study and train at the newest of seven networked Sydney FC Academy Schools. The program will also have the capacity to offer a skill development program to be delivered to students at the Wanniassa Junior campus. Crestwood High School (Hills District) and Matraville Sports High School (Eastern Suburbs). Technical training will be provided by approved Sydney FC coaches with academic and well being support offered by school staff dedicated to providing a first class coaching and learning experience for young players in a full time year round training environment. In addition to training with their local clubs, players will train three times per week during school hours and participate in Sydney FC talent identification days, the Sydney FC cup, attend match day and training ground experiences and participate in training sessions with Sydney FC academy staff during monitoring and support visits. Over time the program aims to collaborate with local clubs helping to provide more opportunities to players, develop additional player pathways, produce a broader base of talent and assist with quality long-term development of young players. 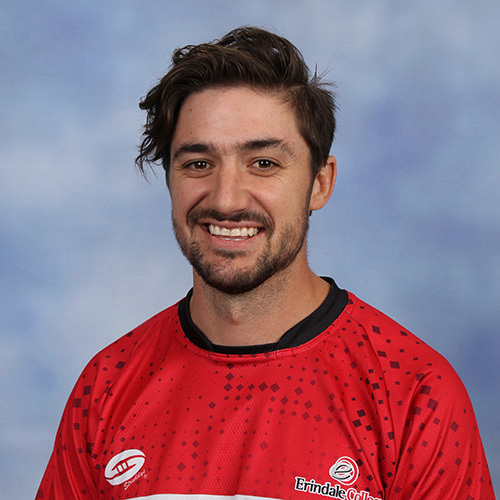 Daniel Hawke has been selected as the Australian Schools Barbarians Rugby Coach for 2019. Dan has made a significant impact on the lives of hundreds of aspirational sports people at Erindale College over the past 6 years. 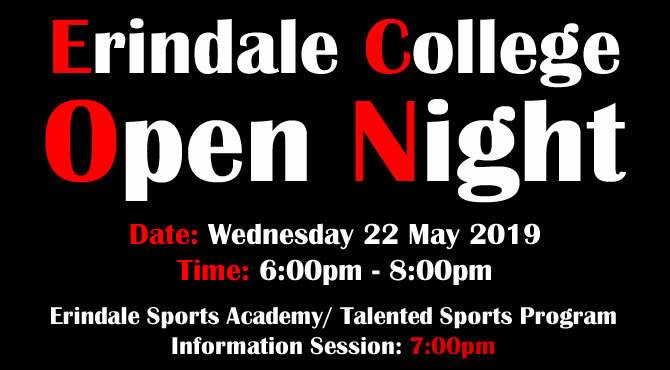 Erindale College is an approved Cambridge International School and has been offering students the opportunity to follow the Cambridge International curriculum since 2015. As the first public education school in Australia to be granted this status by Cambridge International Examinations (CIE), we are proud to form part of a network of more than 10,000 Cambridge schools in over 160 countries worldwide. The Cambridge International program allows students access to a rigorous and internationally recognised curriculum and suite of qualifications. In offering the Cambridge International program we aim to equip the students of the Tuggeranong Valley, and Canberra more broadly, for the challenges they face in completing their secondary education and in graduating to further study or employment in the rapidly changing global context.